Website budget package that is, cost effective with total access and editing control. 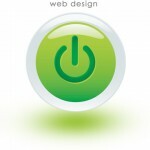 Web designer Wicklow design a range of web sites large and small, we use the right software to suit our client’s need. We can set up a web site for your product or service. Email marketing and site optimisation.